Banner designs for NEW retail store! Preparing for the Grand Opening of Water For Life USA’s first retail store, Alderin Ordell (its founder) called and asked for help designing 6 new posters for display in the new store space. 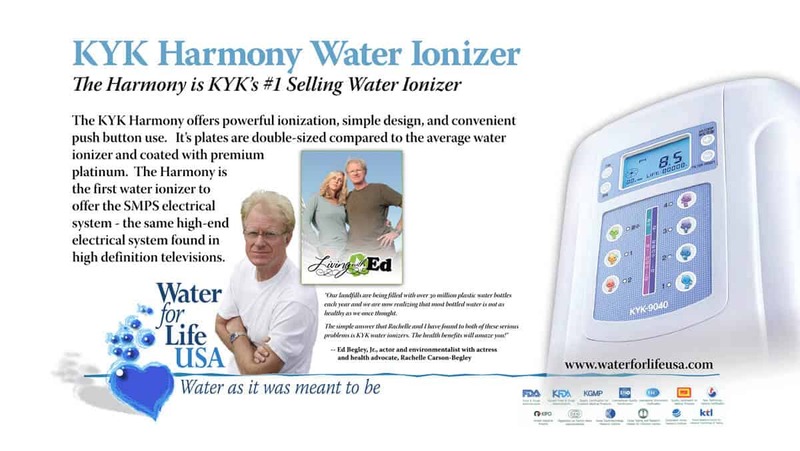 The excitement of the good news was doubled with the announcement of Ed Begley Jr’s endorsement of the innovative water ionization products Alderin sells. Water For Life USA is a rapidly growing water purification and water ionization retailer which offers its customers the newest in water ionization technology. With its “pure” and “clean” water image, I thought it best to keep the poster designs equally free of distractions with simple yet strong visuals.